Do you love the thrill of finding a good deal? 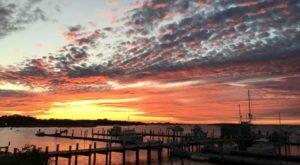 Does stretching your dollar to the absolute limit make you giddy inside? 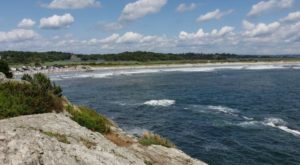 If so, take this Bargain Hunters Road Trip that’s tailor-made for all budget-conscious Rhode Islanders. 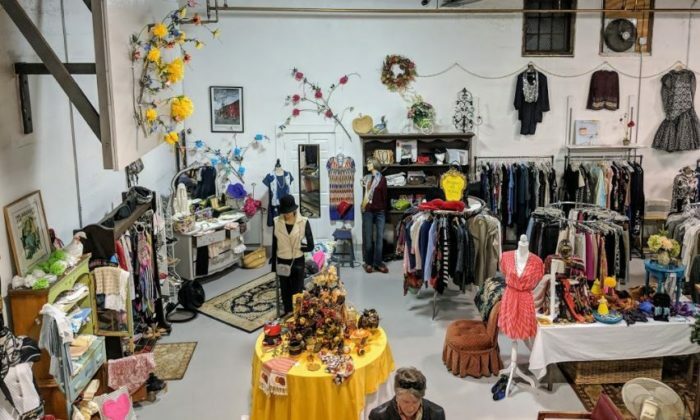 Spend the day visiting some of the best thrift stores in the Ocean State. 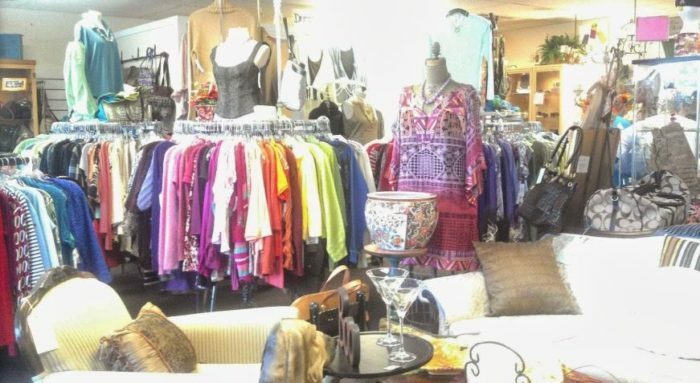 There are fabulous finds at affordable prices just waiting for you! 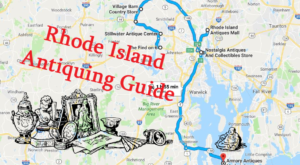 Get started and grab the interactive map for this bargain hunting extravaganza here. 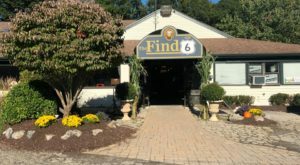 Wade through 11,000 square feet of endless merchandise at The Find on 6. 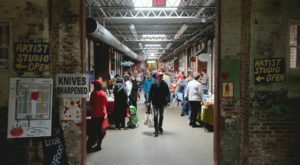 Whether you're seeking a trendy jacket, kitchen table, or some stylish home decor, this huge store will not disappoint. 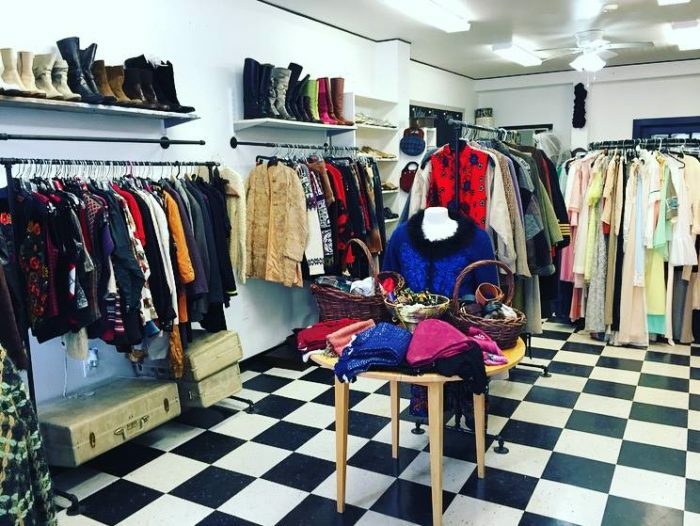 This well-organized thrift store feels like a chic boutique. 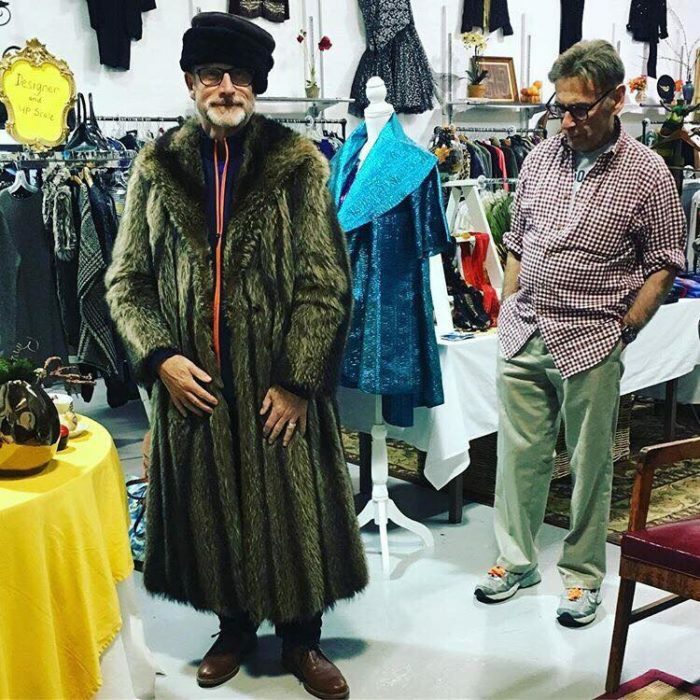 Find a coat to rival Macklemore's find or another pair of shoes to add to your collection. 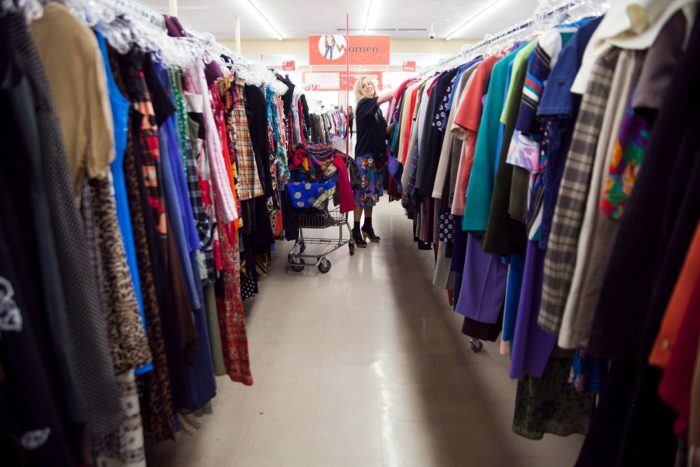 There is plenty of style to go around at The Thrifty Goose Thrift Store. 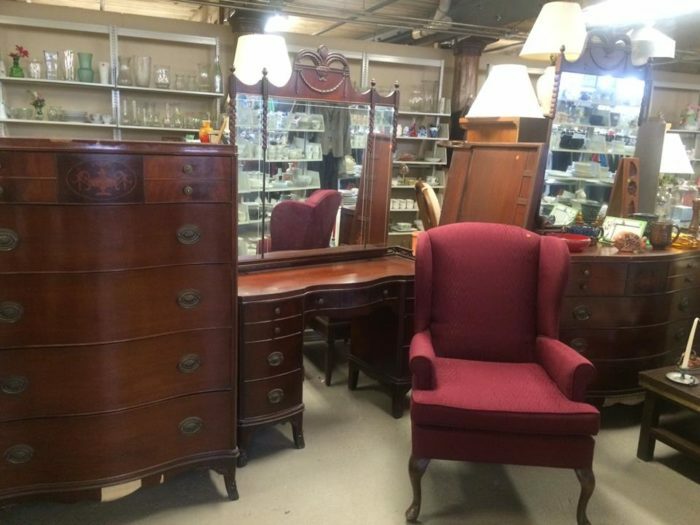 The East Bay Pantry & Thrift Shop plenty of furniture, decor, and clothing to check out. 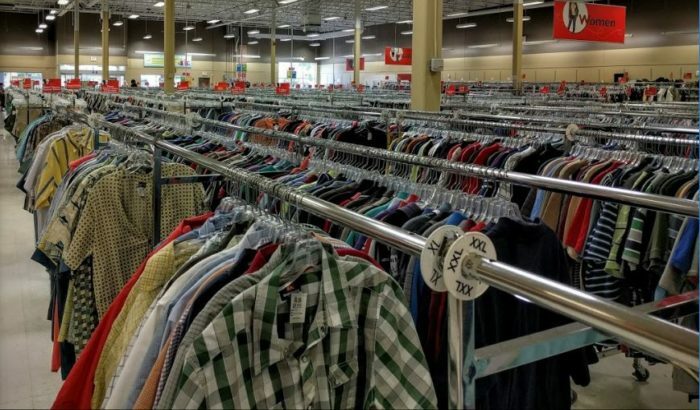 The $1 Clothing rack assures that you'll definitely snag some bargains here. 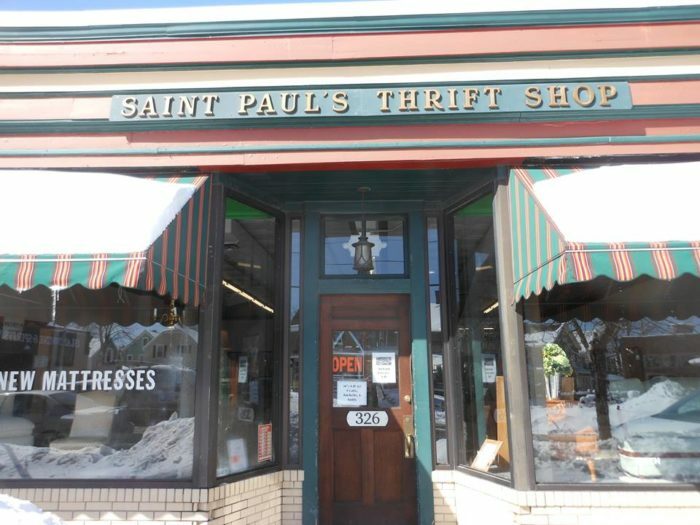 Browse through a little bit of everything at St. Paul's Thrift Shop. 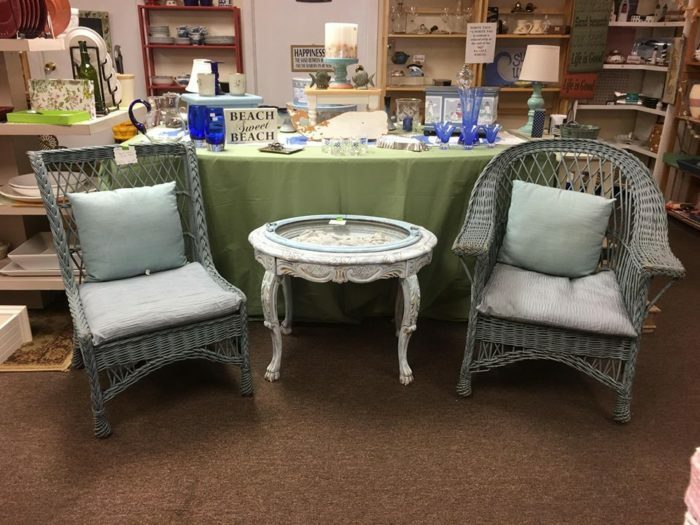 Furniture, linens, and glassware will help spruce up your home while boots, jewelry, purses, and coats will help update your wardrobe. 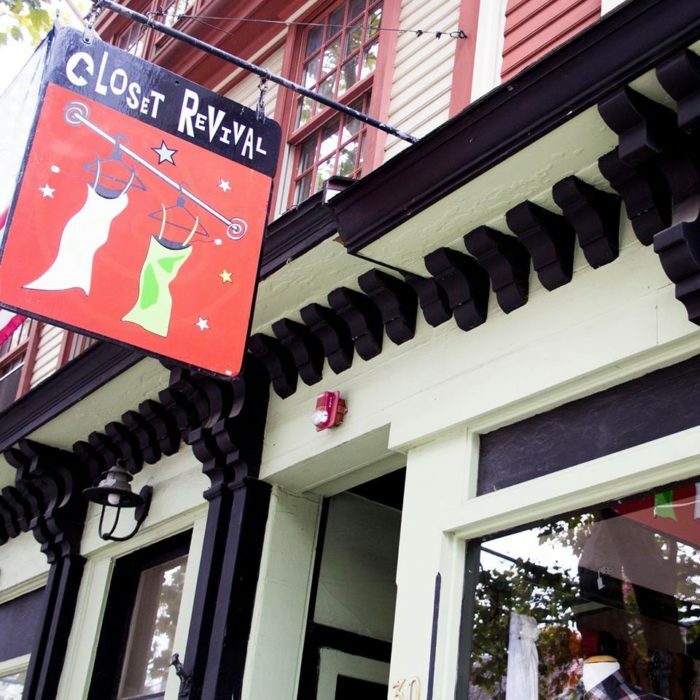 Closet Revival provides a budget-conscious way to spruce up your wardrobe. 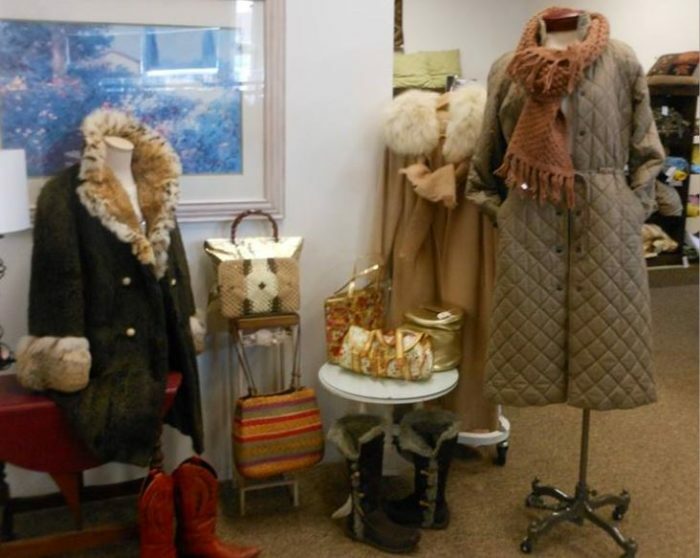 From complete outfits to stylish accessories, a stop at this shop will help revamp your look. 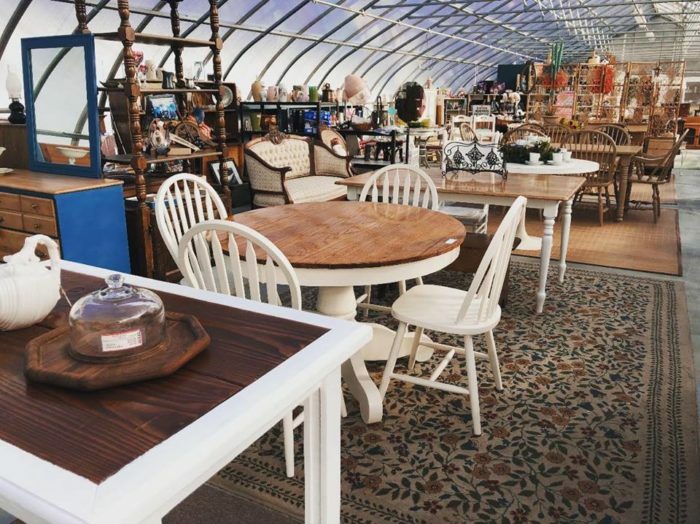 Wander through this well-maintained store of clothing, furniture, and home goods to find all the bargains. 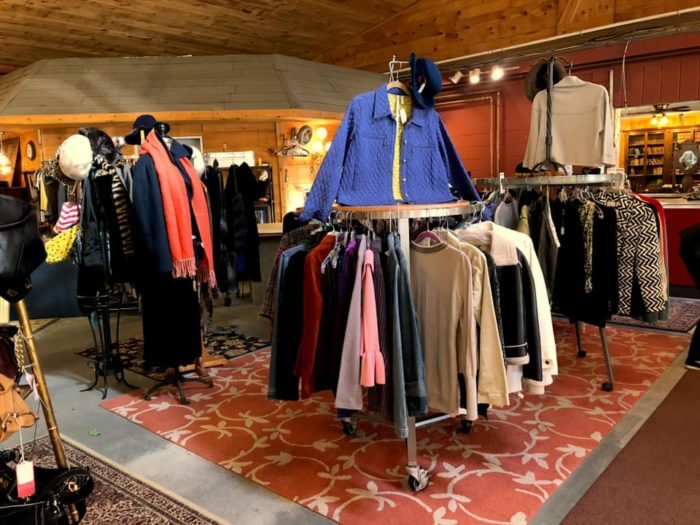 A constantly changing inventory and regular sales make Again and Again Consignment the perfect place to grab a good buy. 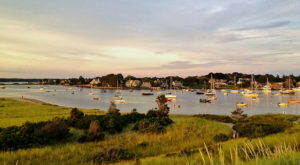 We've saved the biggest location for last. 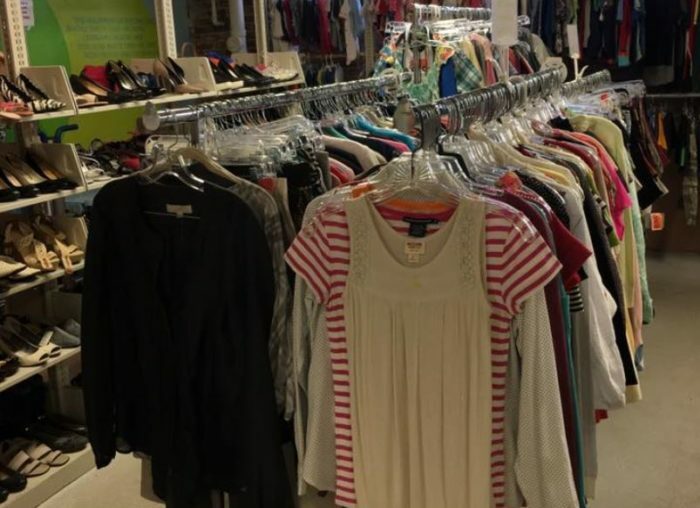 Savers in Warwick has a massive selection of clothing and more. 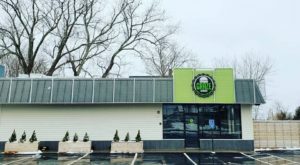 You're going to need a cart to finish out your bargain hunting day at this store. 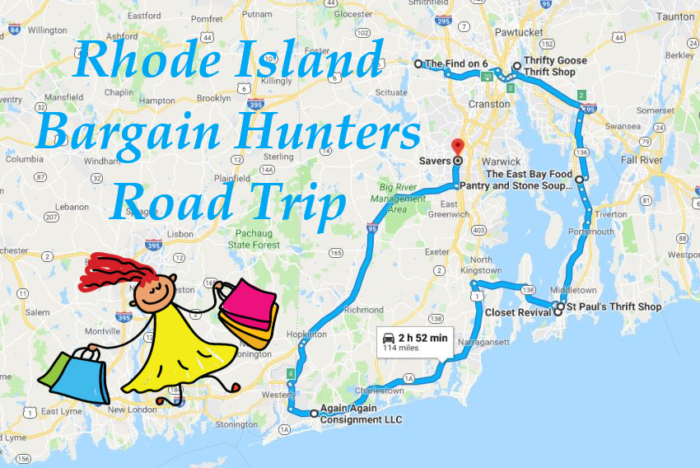 Which of your thrifty friends would absolutely adore this road trip? 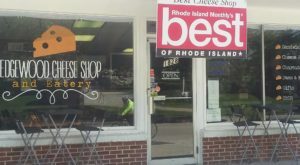 For even more great thrift stores in Rhode Island to add to your trip, click here.